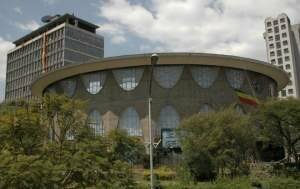 AFRICANGLOBE – Multinationals operating in Ethiopian are inclined to secure local financing from government owned banks which enables them to transfer most of the investment risks to the Ethiopian government and/or public. The Government of Ethiopia (GoE) already incentivizes foreign investors by giving up to 5 years of income tax exemption for most manufacturing and agriculture products. According to Bloomberg news, agricultural land is leased for as little as 1 USD per hectare. This commentary is based on three multinationals, MIDROC, Karuturi Global Ltd and Heineken NV that have made an initial investment of more than $100 million USD in Ethiopia. These subsidiaries have borrowed or are in the process of getting loans from local government owned banks, namely the Commercial Bank of Ethiopia(CBE) and the Development Bank of Ethiopia(DBE). I believe it is not necessary to further incentivize multinational subsidiaries by providing cheap local financing from government owed banks. Instead National Bank of Ethiopia (Central Bank) regulators should allow multinationals to raise capital in the local market by issuing Birr denominated bonds. To raise capital for their subsidiaries, these multinationals also have other options such as floating new shares in the local Ethiopian market. This latter option is the best alternatives of all as it adds shared value to the local economy by allowing local Ethiopians to purchase stocks of the multinational subsidiaries in the Ethiopian market while at the same time adding liquidity to equity market. In contrary, the Commercial Code of the Empire of Ethiopia enacted in 1960 Proclamation No. 160 Art. 570 “firms in which foreign interest are represents” does not prohibit or subject foreign firms to special condition. Earlier in 1998-2000, MIDROC took the lead in buying Ethiopian government owned enterprises by acquiring the Lega Dembi Gold and Kenticha Tantalum mines, tea plantations, agriculture enterprises and a soft drink company (Pepsi Cola). It also borrowed from local banks in Ethiopia in order to partially finance the acquisition. On August 2011 Heineken, the Dutch brewing company, acquired two breweries, Bedele and Harar, for $163 million USD and is currently seeking to borrow 3-5 billion Birr ($200 million USD) from local government banks. Karuturi Global ltd, a large scale commercial farming company is said to have invested $150 million USD in Ethiopia. According to Precise Consult in Ethiopia, the company is looking to borrow Birr 1 billion ($51 million USD) from the DBE and so far has secured Birr 127 million ($6.47 million USD) from CBE. Karuturi Global Ltd is a highly indebted corporation with weighted cost of capital (WACC) of 11.08 percent in Indian Rupee (INR). Karuturi is said to have employ about 10,000 low wage workers paying about 10 a day (as compared to the country’s 8 birr per day low wage rate.) According to grain.org, Karuturi’s 10 birr per day wage is half what sesame farmers in the country earn. Multinationals operating in Africa face a number of risks, including political risk, adverse climate change risk, regulatory and wage changes risks and financial management issues. The risk gets compounded due to the fact that the assets of the multinational companies’ assets and earnings are denominated in local currency. Moreover, except for South Africa and Nigeria, African stock markets are illiquid making it more difficult for multinationals to raise additional capital locally. It is even more difficult to raise capital in Ethiopia as financial markets in the country are undeveloped. There is no stock market and foreign corporation are restricted from issuing corporate bonds. This would be the very reason why multinationals would be inclined to borrow from local government banks. But the simplest and strait forward explanation is profit maximization. Profit maximization is bolstered by the fact that borrowing locally is highly profitable. Consider the mismatch between inflation rates and interest rates, for example. Most recent inflation rate in October 2013 was 8.5 percent. Between 2006 and 2013, the average inflation rate in the country was 21.22 percent, reaching as high as 64 percent in 2008. On the other hand lending rates during this period have been between 7 to 8 percent. This shows the existence of negative real interest rates, thereby forcing Ethiopian banks to lose money from the negative real yields while at the same time borrowers (the foreign multinationals) make huge borrowing bonanza. According to the Reporter, Heineken is currently waiting for $37 million loan approval from CBE. If it succeeds in obtaining the loan, Heineken would be able to leverage 22 percent of its financing locally. This local borrowing would allow Heineken to manage its (Birr/Euro) currency mismatch. But considering the weighted average cost of capital (WACC) for Heineken is 7.02 percent in EUR. In comparison, a government owed enterprise Ethiopian Airlines (EAL), weighted cost of capital (WACC) is 5.02 percent in Ethiopian Birr. It is much cheaper for Heineken and its subsidiaries to borrow from government banks in Ethiopia, especially if inflation continues to rise again in Ethiopia. Doing so not only allows Heineken bear no additional risk, it also allows it to pass most of the risk to Ethiopian government owned banks. In conclusion, Ethiopian government owed bank should refrain extending loans to multinational wanting to expand their business in Ethiopia. If a multinational company is unwilling to bring additional foreign direct investment (FDI) into the country, it should meet its requirements via local financing by raising equity or debt within the Ethiopian market. The whole purpose of allowing multinational to purchase public owned business in the first place, is to attract Foreign Direct Investment (FDI), transfer of technology and knowledge, or because the private sector is better suited to manage the enterprise. I strongly believe that this passing of the risks to government-owned banks by the likes of Heineken, Karuturi Global Ltd and MIDROC create substantial moral-hazard problem (Moral-hazard is a situation in which one party gets involved in a risky event knowing that it is protected against the risk and the other party will incur the cost. It arises when both the parties have incomplete information about each other). I also suggest for the Ethiopian regulators not to restrict foreign firms incorporated abroad from conducting debt financing locally.